The attack is a direct product of the open appeals to fascist violence by the Trump administration. Bowers was evidently motivated by a combination of rabid anti-Semitism and anti-immigrant chauvinism. 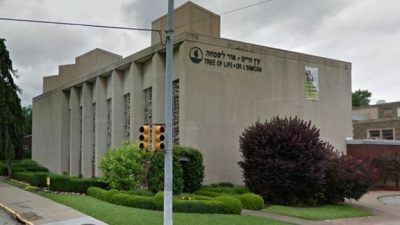 He posted comments on social media just prior to the attack linking his hatred of Jews to the efforts of the Hebrew Immigrant Aid Society (HIAS), with which the Tree of Life synagogue is affiliated, to assist refugees fleeing Central America. Featured image is from Rabbi Sacks.